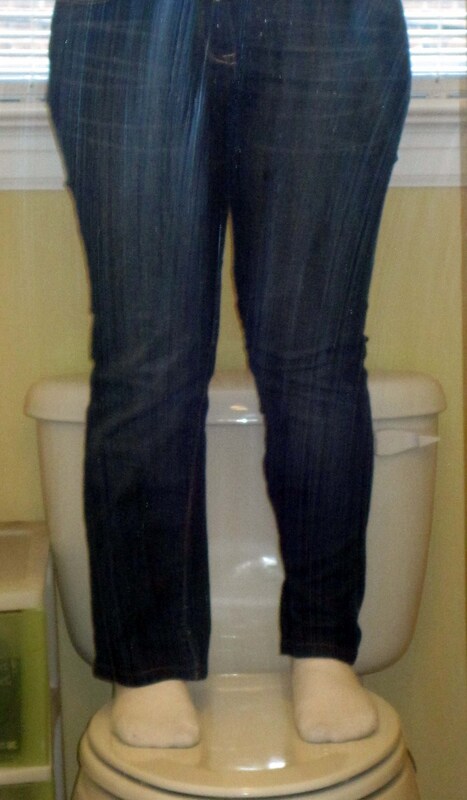 I have a few pairs of jeans that I don’t wear anymore because apparently the new thing is skinny jeans, not flare. Flares were “in” from the time I was in middle school, through college, so naturally I have a few pairs. They fit perfectly fine, and it seems such as waste to get rid of them. Thanks to Pinterest, I stumbled across a way to transform them myself. It’s not very difficult, but it did take up quite a bit of my Saturday afternoon since I don’t have a sewing machine and had to do it by hand.